As expected 'Hugo' and 'The Artist' lead the way at this year's Oscar nominations - picking up 11 and ten nods respectively - but there were also plenty of shocks on the list. First up, the Best Picture category, which saw Tom Hanks film 'Extremely Loud and Incredibly Close' come from nowhere to nab a nomination. 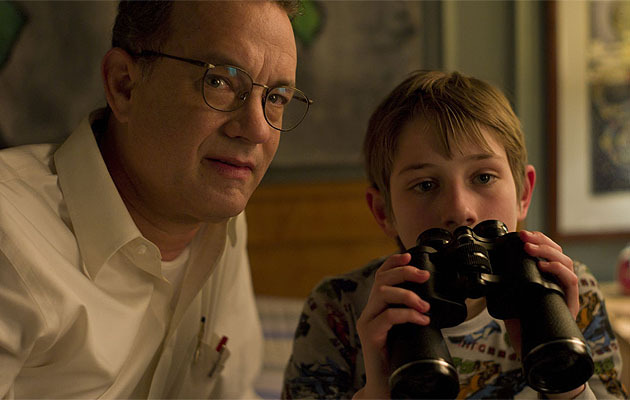 The adaptation of Jonathan Safran Foer's book, which follows a young boy whose Dad dies in the 9/11 attacks, is one of the most badly reviewed films to be up for Best Picture in years, and has a score of just 48 per cent on review aggregating site Rotten Tomatoes (rated: 'Rotten'). The score is calculated by totting up the number of positive and negative reviews for a film, and making an average. No other Best Picture nominee has received a worse score on the site - their exhaustive records go back to 1999. The closest are 'The Reader (62 per cent) and 'The Blind Side (66 per cent). Peter Travers of Rolling Stone said in his review that it was "Self-important in the way that Oscar loves, 'Extremely Loud' is also incredibly close to exploitation." Andrew O'Hair at Salon.com described it as "unconvincing Hollywood mush". On twitter, film journalist Joe Utichi said: "Apparently we live in a world in which 'Extremely Loud and Incredibly Close', 'War Horse' and 'The Help' are better than 'Drive'. #headexplodes"
USA Today liked it more, describing it as manipulative but worth seeing for the lead performance. In the Best Director categories there was also a minor stir, with Terrence Malick up for an award for 'Tree of Life'. Undoubtedly worthy of nominations, many believed the film and its famously shy auteur would miss out. A packed Best Actor category would provide many of the shocks, with Leonardo DiCaprio, Ryan Gosling and Michael Fassbender all losing out. Clint Eastwood's 'J. Edgar' - for which DiCaprio's performance was heavily-praised - ended up with no nominations at all, a snub for a director who used to be an Oscar-favourite. 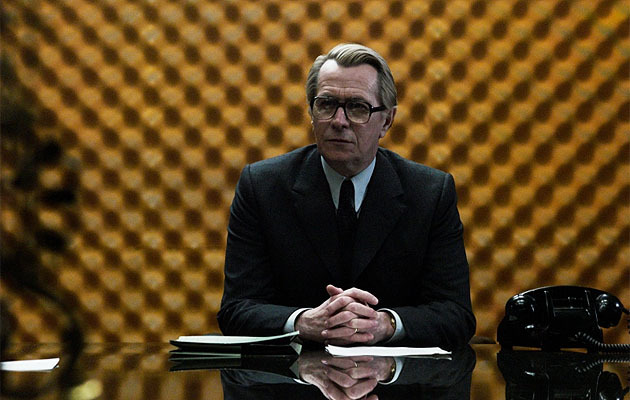 The nicest surprise in the Best Actor category was the inclusion of Gary Oldman for 'Tinker, Tailor Soldier Spy' - a great performance that most expected to be overlooked after his Golden Globes snub. The biggest shocker though was the inclusion of Demian Bachir for 'A Better Life'. In the film many haven't heard of, Bachir plays a gardener living in Los Angeles who struggles to protect his son from gangs and immigration agents. The actor has spent the majority of his career working in Mexican films. Tilda Swinton missing out on a Best Actress nod was another huge surprise. Her performance in 'We Need To Talk About Kevin' was much-lauded but the Academy didn't agree. Definitely one of the most glaring omissions in recent memory. Comedy very rarely gets a look in at the Oscars but Melissa McCarthy of 'Bridesmaids' earned herself a surprise nom for Best Supporting Actress. A huge win for the genre regardless of her success next month. Another comic actor found himself with a nomination, but Jonah Hill played it straight in 'Moneyball', earning a nod for little more than his ability to read Aaron Sorkin's great script. Not bad for the 'Superbad' star. 'Drive' was a fan and critical-favourite but was unlikely to make the cut in the bigger categories thanks to the Academy's older membership. The film's best hope however was Albert Brooks, who missed out on a Supporting Actor nod many thought was nailed on. Steven Spielberg's 'The Adventures of Tintin: The Secret of the Unicorn', which won a Golden Globe for Best Animated Feature, didn't make the Academy's list despite being the most well-known and best reviewed of the possibilities. Last year David Fincher was narrowly beaten in a number of categories by 'The King's Speech' but his latest, 'The Girl With the Dragon Tattoo', was mostly ignored this year. Not exactly surprising given the modern tone of the film and the sexual violence but at least Rooney Mara snuck in for Best Actress.